Studies have proven that academic scores at schools go up where a strong library media program is present. 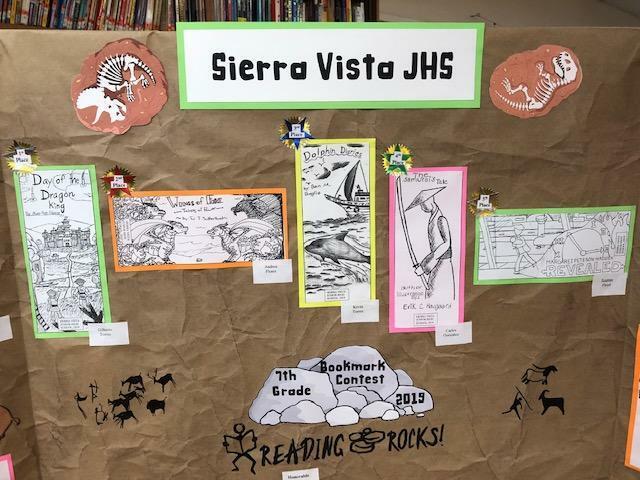 The staff at Sierra Vista Jr. High recognizes this through its efforts to teach information literacy skills and to provide a variety of literacy programs. Students are taught to effectively access, evaluate and use information. It is hoped that they will become lifelong learners! Each day there is a 15 minute period of silent sustained reading called R.E.L.A.X. (Read, Enjoy, Learn and Explore). Students are encouraged to come to the library to check out books for this reading period. We have over 16,000 items to choose from! See the teacher librarian for suggested titles. Library's have their own distinct vocabulary. Click HERE for a list of library terms and definitions. During the first weeks of school, English classes visit the library for orientation. Click below to view the PowerPoint. 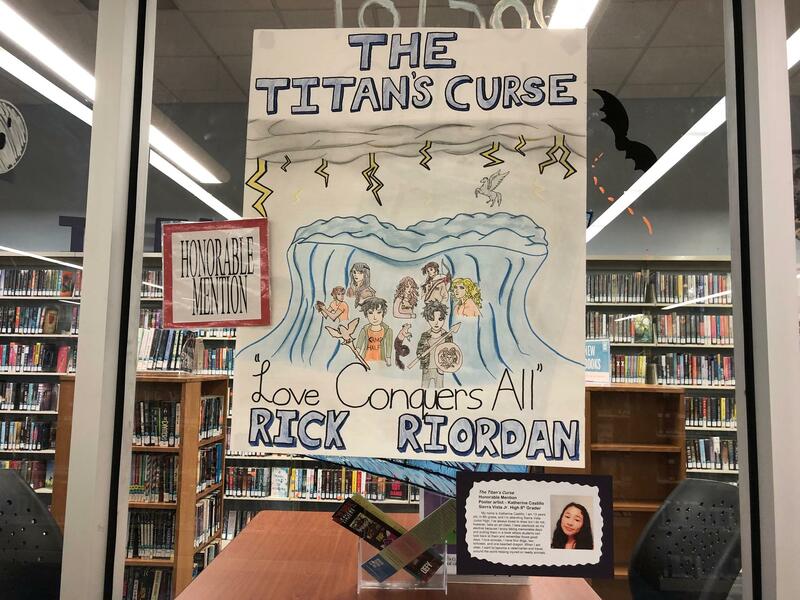 All 8th grade students participate in the annual 8th Grade Poster Contest during the fall semester. 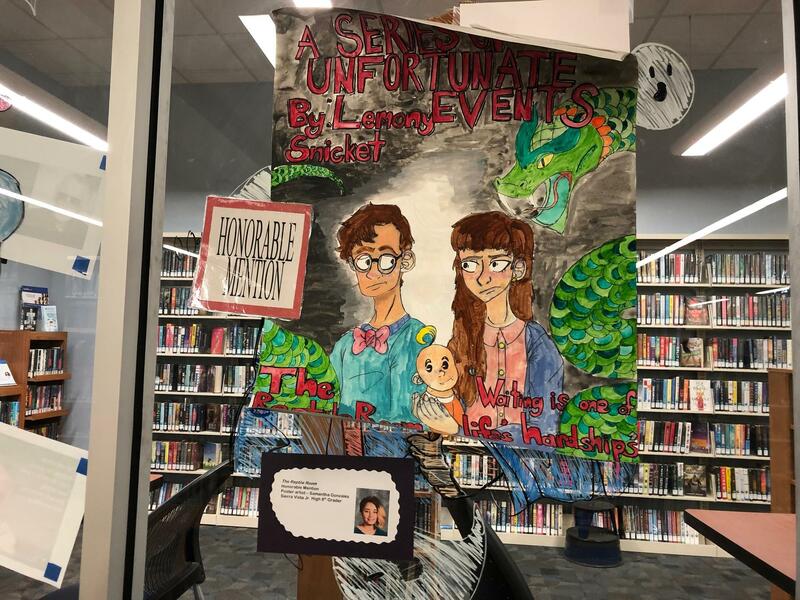 Students come to the Library during the fall semester for a presentation of rules and information they need to complete an award winning entry. 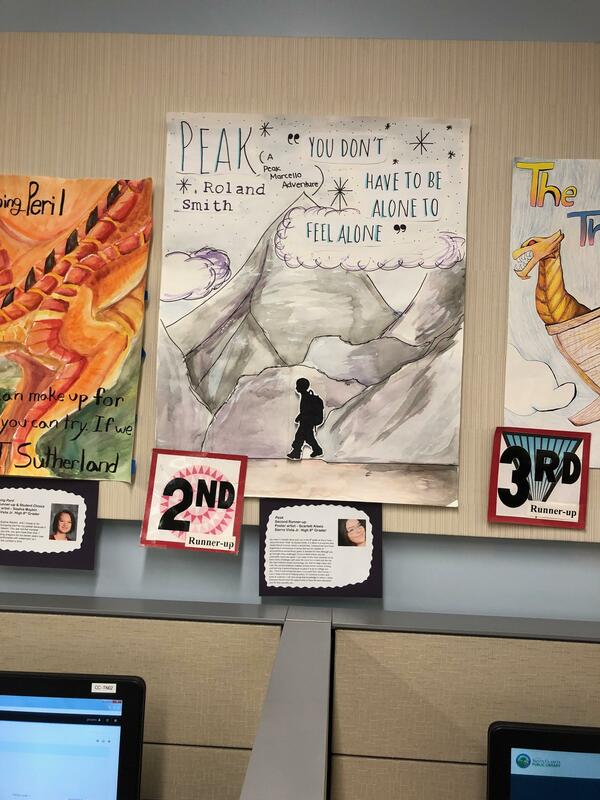 The finalists' posters are on display in the Library for viewing by parents, students, and our community. The top winners receive gift certificates to the Westfield Mall in Valencia. Click below for a list of the rules and the entry form and/or a video presentation covering tips and suggestions for creating a winning poster. 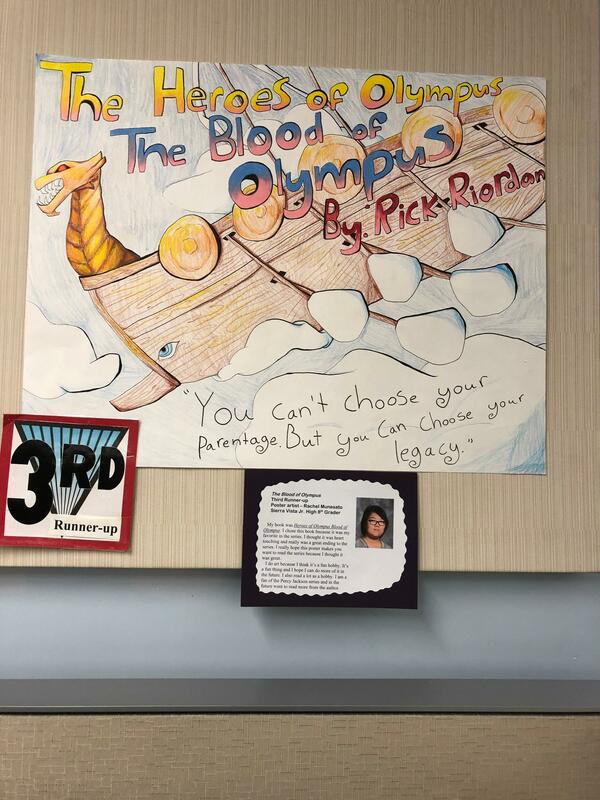 Congratulations to the winners of the 24th Annual 8th grade poster contest for the 2018-2019 school year. 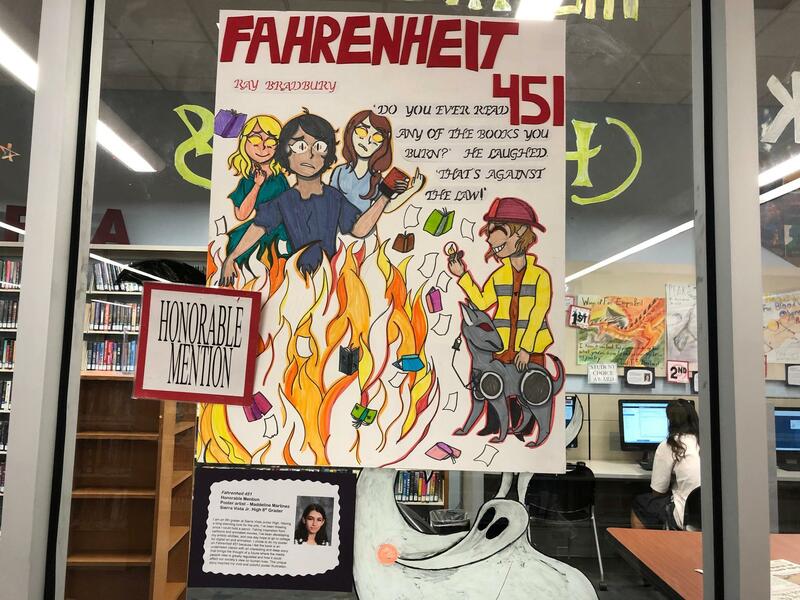 Earning an Honorable Mention are Deborah Tinoco, Emily Lopez, Katherine Castillo, Maddeline Martinez, and Samantha Gonzales. 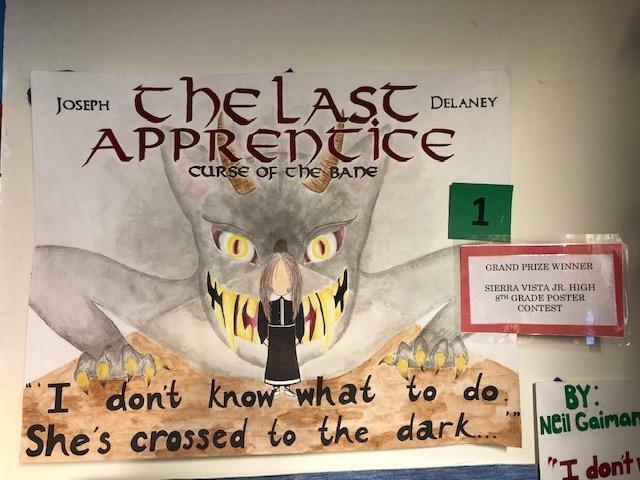 3rd Runner-up is Rachel Munesato, 2nd Runner-up is Scarlett Alexis, 1st Runner-up and Student Choice winner is Sophia Maybin, and the grand prize & student choice winner for the poster of the book "The Last Apprentice" is Kaylee Guillen. See her winning design and other top posters below. All 7th grade students participate in the annual Bookmark Contest during the spring semester. 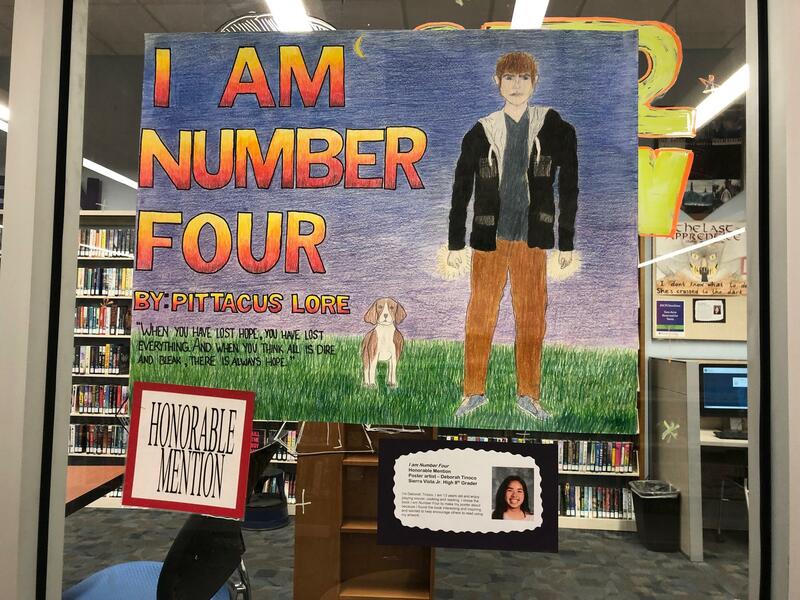 The top 25 finalists' designs are on display at the library. The winning bookmarks are printed and distributed to our students. These top winners also receive gift certificates to Barnes and Noble. Click below for the rules and an entry form if you need an extra copy. 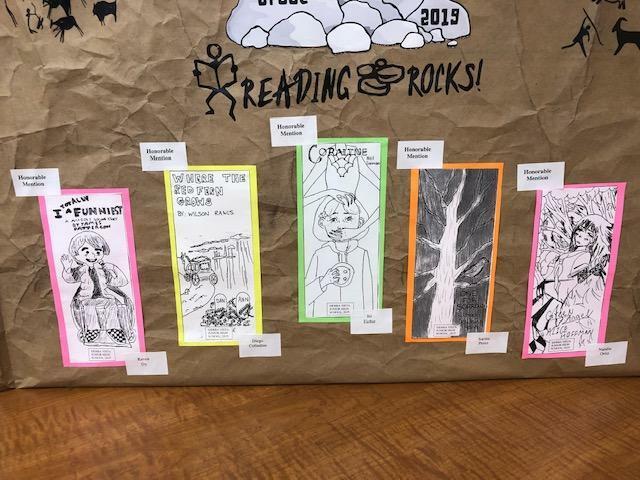 Congratulations to the winners of the 2019 7th Grade Bookmark Contest. This is the 21st anniversary of this annual event. 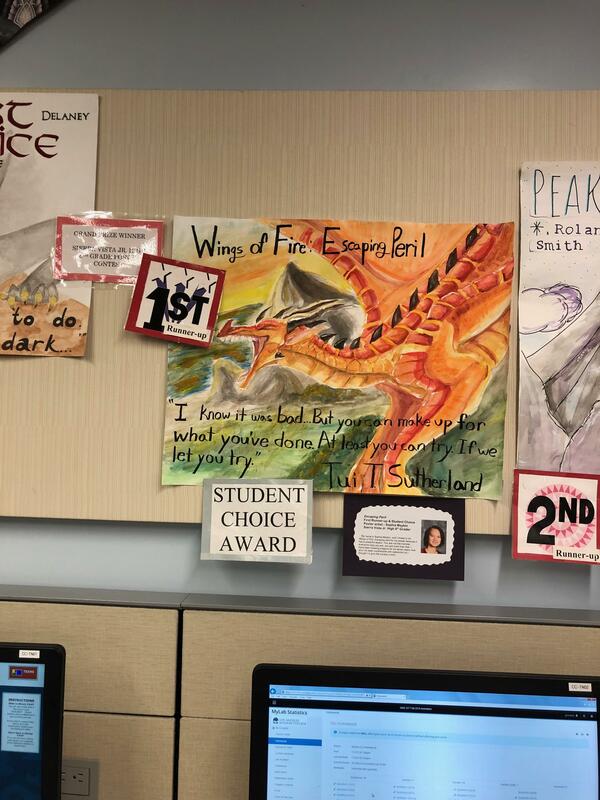 In first place is Gilberto Torres for his depiction of the book “Day of the Dragon King”; second place is Andrea Flores for “Talons of Power”; third place is Kevin Torres for “Dolphin Diaries”; fourth place is Carlos Gonzalez for “The Samurai's Tale”; and fifth place is Seamus Floyd for “Revealed.” The five honorable mentions are Natalie Ortiz, Sarina Perez, Isi Eichie, Diego Colindres, and Raven Dy. 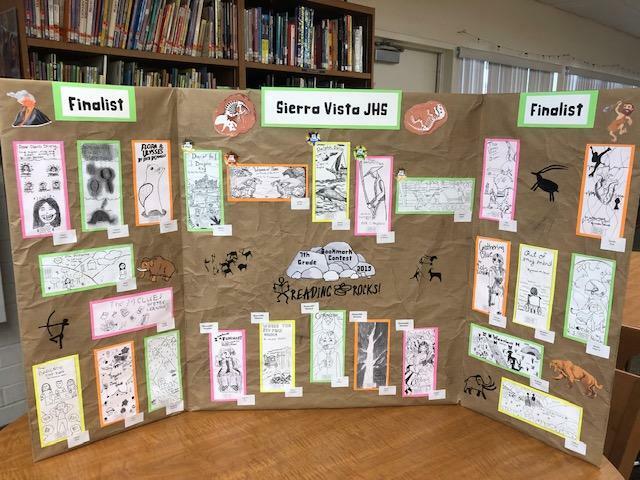 Come and see their wonderful designs on display at our SV Library.